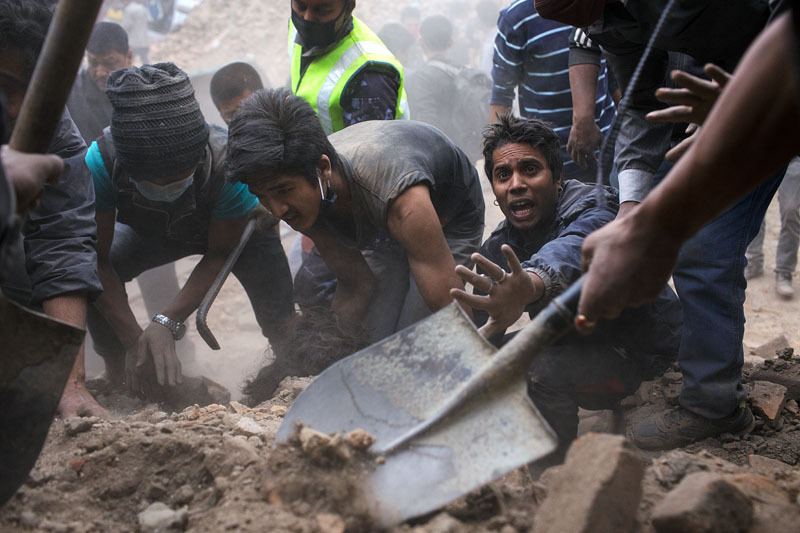 Awarded photo comes from his reportage made just after the tragic earthquake in Kathmandu, Nepal in April 2015. On the 25th April 2015 at 11:56am a powerful 7.8 magnitude earthquake struck Nepal killing and injuring thousands of people, making even more homeless. A tragedy beyond words. I was there in Kathmandu when it happened. The guesthouse I was staying at suddenly started shaking violently. It lasted around half a minute. I was lucky. The building withstood the quake. I survived. I took my camera and went out to photograph the situation in the city. Nothing physical happened to me. But traces of this experience are still with me. I find myself thinking of it almost every day, now a year after this disaster. Each time I feel the ground shaking I think of an earthquake. It is hard to think what Nepali people whose lives were directly affected by the disaster feel. Here is my evidence of that tragic day. This is what I saw, this is how I felt, this is how I reacted to the events unfolding in front of me. All photos in this gallery were taken on the 25th of April, the earthquake day. Photos are displayed in a chronological order, so you can follow the events. The first one was taken at 12:31, only 35 minutes after the earthquake, while the ground was still shaking from frequent tremors.